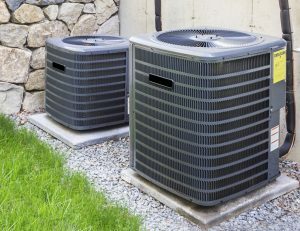 If you have any allergies, maintaining your air system is essential to your comfort. Here’s how regular HVAC service can help you fight back against spring allergies. They may seem obvious, but it’s easy to push air filter issues to the back of your mind. If you’re doing any spring cleaning, however, it might become a bit more pronounced. All of the problems listed below can be solved by keeping your HVAC system functioning properly. Any qualified technician will do their best to ensure you are breathing in clean air in the comfort of your home. You’ve probably seen giant green and yellow pollen clouds floating through town at one point or another. Pollen comes from the plants and flowers, of which there are many in Houston. It floats through the wind to fertilize other plants and keep our city green and beautiful. Unfortunately, it can cause a lot of sinus and breathing issues. Many people are also allergic to it and spend the season sneezing. Don’t worry, you’re not the only one who is uncomfortable. At least you’ll be able to find some refuge at home. The time for spring cleaning is here! Though your attic and higher cabinets may have accumulated a grey coating since you last cleaned. Unlike pollen, dust manifests inside your home, and you’ll need a quality air system to push it out. So don’t be afraid of getting up there with your duster and taking care of the problem. Go Admiral technicians will have already made sure that the dust is banished from your living area. If you have a dog or cat, their coat will be shedding as it gets warmer out. This is especially true if they are long-haired. Dogs like Siberian Huskies and German Shepards will be leaving a blanket of fluff on your floor and in your air. Long haired cats will make sure it gets into your closet and shelves as well. It’s not their fault, it’s only natural. Their bodies need to adapt to the warmer weather just like you do. Keeping your air filters clean can hopefully keep the most of it from cycling back in. Remember to prioritize your comfort this coming spring. Invest in an annual service plan so you suffer the least, and fight back against spring allergies.